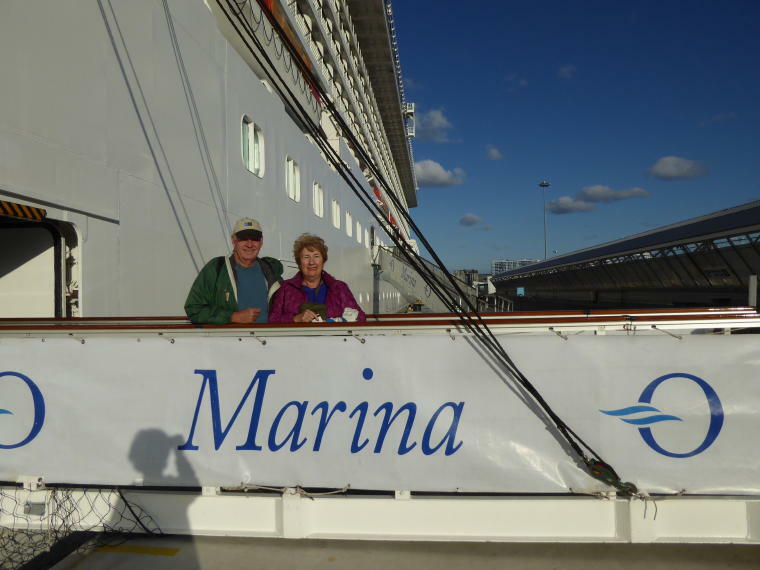 On August 30, 2017, we flew from Denver to Stockhom, Sweden to start our 10 day cruise of the Baltics. 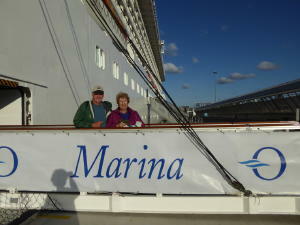 We sailed with Oceania on the Marina which is a very stylish and elegant ship. 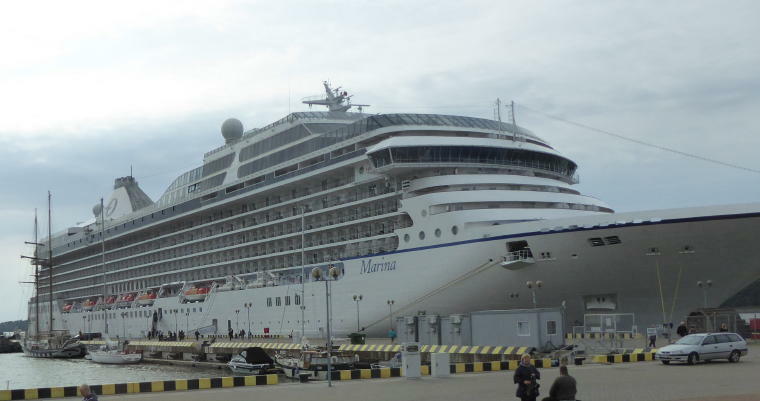 There were 1200 passengers on board with 750 crew. The cabins were very spacious - we still had empty drawers and shelves after unpacking! We had a veranda but it did not get much use because the weather was cold and we spent every day except one touring the ports. The food on the Marina is exceptional. We had a choice of the Grand Dining Room, the extensive Terrace Buffet, and one night in each of the four specialty restaurants. We were very fortunate to have Barb's sister Colleen and her husband Mark join us on the cruise and share all our great experiences. Before the cruise, we spent a couple days in Stockholm. Once on the ship we visited Tallinn, Estonia; Helsinki, Finland; Riga, Latvia; Klapedia, Lithuania; and Berlin, Germany. But the real purpose of our taking the cruise was the three days spent in St. Petersburg, Russia. The Baltic region is so full of history. The countries were all damaged extensively during WW II and it was amazing to see how they have been rebuilt and renovated. The opulence in St. Petersburg was overwheming to see. Our cruise ended in Copenhagen, Denmark. Because we had been there before, we decided not to extend our trip. We were in the first group to disembark from the ship and got a taxi to the airport. Unfortunately, the terminal we needed to use had been evacuated due to a bomb scare. We waited with hundreds of others for 3 hours before the terminal was reopened and we could check into our flight. Naturally all the flights were delayed and we barely made it to our connecting flight. But we did and so did our luggage so all ended well. You can view more photos from our trip by going to the Photo Gallery. And if you want to see a full size picture, just click on the photo. There is a map of our trip at Baltics Maps.